A Milford man is facing multiple fraud, forgery and other charges after allegedly using another man’s credit card to go shopping. 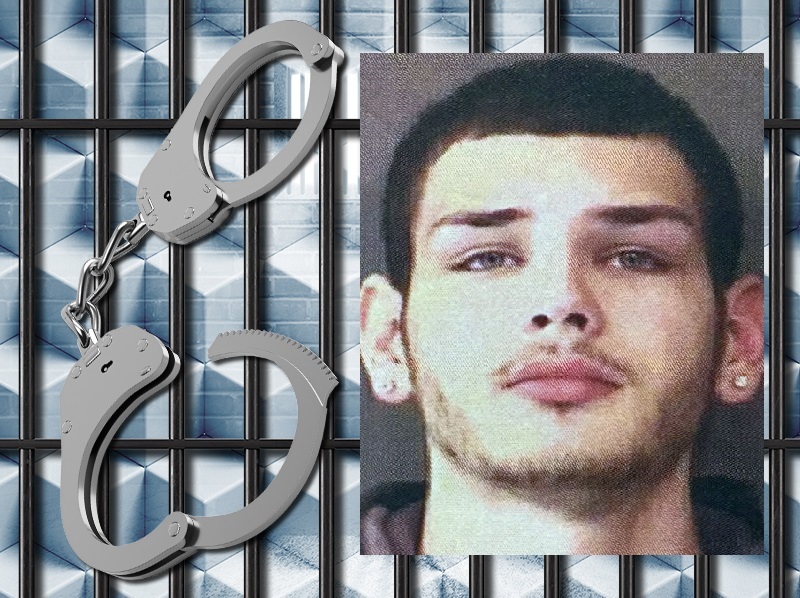 19-year-old Adam Robert Allen was arrested and booked into the Kosciusko County Jail at 1:40 p.m. Oct. 31 on six counts of fraud, theft, resisting law enforcement and disorderly conduct – noise. His preliminary bond was set at $5,250. Court documents filed Friday list the charges against him as six counts of fraud, level 6 felonies; two counts of forgery, level 6 felonies; theft, a Class A misdemeanor; resisting law enforcement, a Class A misdemeanor; and disorderly conduct, a Class B misdemeanor. On Oct. 29, Syracuse Police Department officer Joe Keene met with a man who said that on Oct. 28 he began receiving notifications of fraudulent charges being made on his Discover credit card. He said he could not find his credit card and never gave anyone permission to use it. The victim provided Keene with a list of the fraudulent charges, totaling $663.04. The card was used at Walmart, Karma Records, Dunham, Shoe Sensation, Meijer and Dollar General all on Oct. 28. The victim’s wife told Keene she contacted Karma Records that provided her photographs of the two subjects making the fraudulent purchases on the victim’s credit card. She was able to identify the subjects as Allen and a juvenile. The juvenile’s name was redacted from the court documents. The victim said both subjects work at the Subway restaurant in Syracuse, which would have been the last place he used his Discover credit card. Keene viewed the video from Karma Records and was able to identify the juvenile and Allen. The video shows Allen using the victim’s card and Allen forging the victim’s signature on the receipt. Keene obtained video from Walmart and was able to identify Allen and the juvenile using the victim’s credit card to purchase a cell phone card. Video from Dunham’s showed Allen and the juvenile purchasing clothing with the credit card. At Shoe Sensation the video showed them purchasing shoes and clothing, and video from Dollar General showed them using the credit card to purchase food. Keene spoke with a relative of the juvenile and told her that the juvenile and Allen had used a credit card that did not belong to them. The relative said she wondered where the juvenile had got the new shoes. The court documents state Allen went to the Syracuse Police Department to speak with Keene. While speaking to Keene, Allen started yelling and being disorderly. Keene repeatedly told Allen to calm down or he would be arrested for disorderly conduct. Allen began yelling and stood up in an aggressive manner. Keene told Allen he was under arrest and Allen resisting, bracing his arms against the wall and attempting to pull his arm away from Keene. Allen slammed Keene against the wall. Another officer arrived to help take Allen into custody. He was released from jail on his own recognizance Nov. 7. Allen’s initial hearing is set for 8:15 a.m. Nov. 29 in Kosciusko County Superior Court I.